Alicia here today with some puppy love. 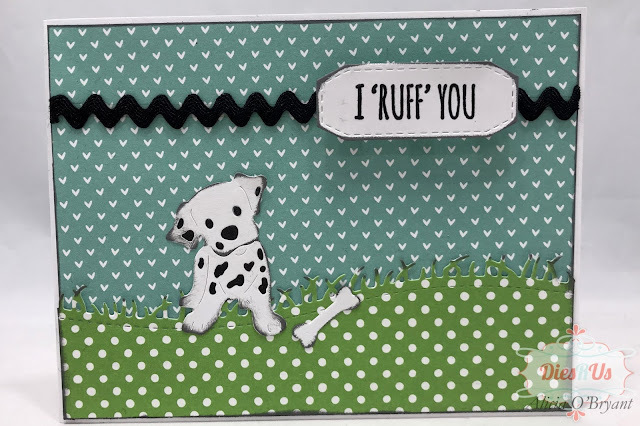 I can't get enough of Frantic Stampers doggy dies. I own several of them, however, this is my first time using the Peeking Pups. I used a few different Distress Oxide inks to create a background. I layered ink and water splatter and drops about 4 times for this one. 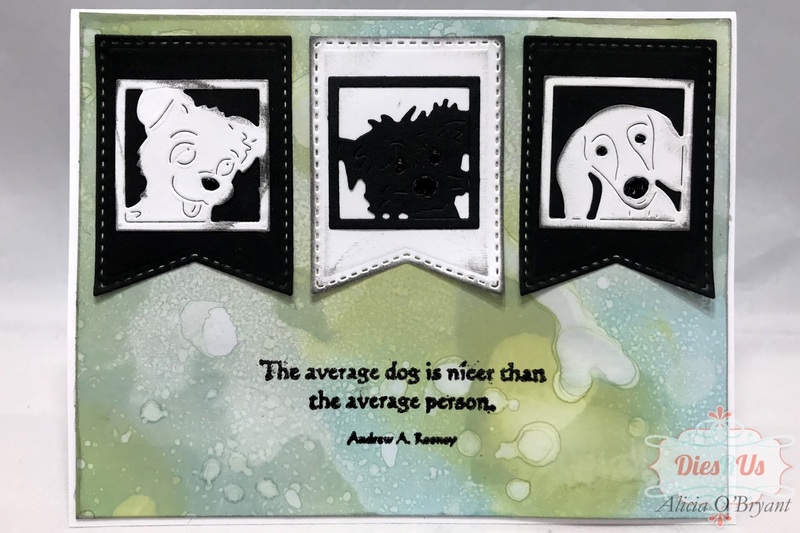 Then I cut my pups in black and white layering them on black and white stitched banners. I inked all the edges for a distressed look. I stamped and embossed my sentiment. To finish off my pups I added glossy accents to the noses and eyes. I created a second Frantic Stamper puppy card with Spot. I layered him on top of a Frantic Stamper Stitched Grassy Hill . Beautiful colors, so sweet! 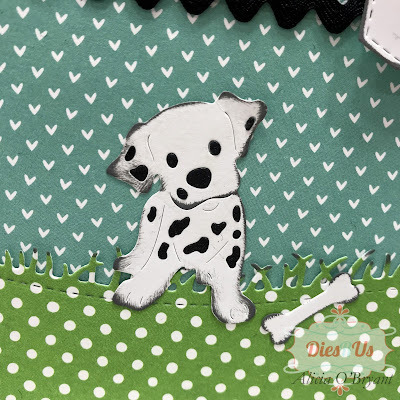 Love the puppies, especially that Dalmatian! Awwww..... these are so cute! Who doesn't love a sweet puppy card??? Great job on the dalmatian! Both cards are just adorable Alicia! I too love how you turned him into a dalmatian! Clever! Awesome inspiration using some fun products from DRU! Well done! Love the soft colours you used. Beautiful! Those puppies are adorable. What great inspiration! Thank you.